I've never installed a plugin before and the videos I have seen for it all are over 3 years old and do not have the folder layout or explain how to get GAP to work with Gimp. I have searched a bit here and I'm either not typing in the right criteria or not searching hard enough. GAP is installed but I seem to need to get the folders and files into the GIMP one. Thank you for any help and glad to be here. I was wondering if I'd missed some new update or something when I saw GAP 4.9.3 (the GAP versions I had were 2.6 and 2.7) but I see that GAP is for something completely different - "GAP (Groups, Algorithms, Programming) is a system for computational discrete algebra". GAP is old and sadly hasn't been updated for a long time. I think most people use it with an old version of GIMP like 2.6 - I'll leave it up to the experts around here to confirm - but I have it installed in a portable version of 2.8 and still occasionally use some of the functions like the videoencoder. It won't work with 2.10, I tried when 2.10 first came out out of interest. PS: If you have problems getting GAP to work it's worth mentioning what you plan on doing with it as there may be scripts or other apps people can recommend. For example, I wouldn't use GAP to extract frames from a video as virtualdub is far better. The animstack tools in GIMP are also very useful for putting together animations, depending on what you want to do, while if you are after something in particular there are experts (and scripters) around here who could probably help. 6. Some time you will have to OK that either now or after adding the scripts path. Exactly the same procedure as the plugins. OK that, restart Gimp for the extra paths to take effect. That gives a new menu entry Video. How much of GAP now works is debatable. Expect some functions not to work. Should I use an older version of GIMP? Or if I didn't read correctly, is there something better than GAP I can plug in to GIMP for GIF creation? Actually, I'm an idiot and didnt listen to Zorba. Let me get an older version of GImp and give this a try. Well I downloaded and installed the latest version of GIMP 2.8, followed your steps, and it worked! Good to hear. If you're making gifs I find the animstack tools for GIMP very useful as well. Very handy for repetitive tasks, adding text, foreground/background, rolling one animation into another etc, even if you just use a couple of the more basic commands. Thanks for the very detailed instructions. I never would have figured that out on my own. All GAP files are properly located, the paths to the new plugins & scripts have been added & the Video menu now appears. However now I have a problem: on startup I get a "No Disk" error message. Initially I tried ending the application from task manager & rebooting but the problem persists. I can close the dialog box but it instantly reappears. After I close the box exactly 72 times Gimp will start. It doesn't waste too much time but I'm afraid I might break my mouse button. I think you can safely assume that GAP is not going to work on your installation. Quote: ...After I close the box exactly 72 times Gimp will start.. There are 36 files in the GAP27/plug-ins folder - each file calling a non-existant drive twice maybe? I do not know. When you do get Gimp up and running, Go into Edit -> Preferences -> Folders and remove the path references to GAP27 in the Folders/plug-ins & scripts. Ok that restart Gimp. Does it start up without the warnings? Start Gimp up, move your resources - gmic_gimp_qt etc. into the new default Gimp profile. 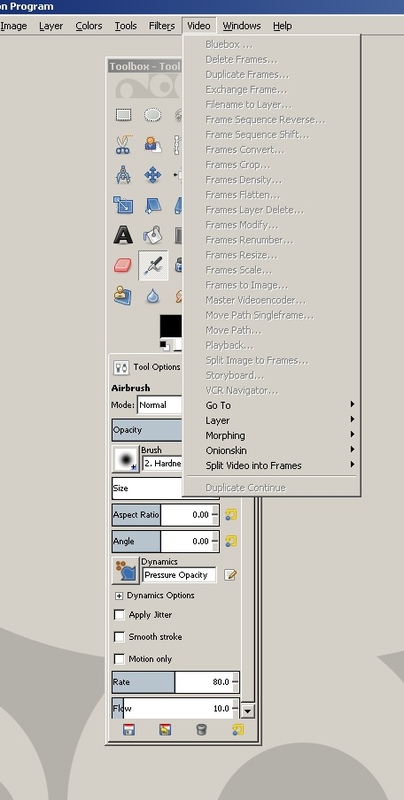 (02-23-2019, 05:29 PM)rich2005 Wrote: When you do get Gimp up and running, Go into Edit -> Preferences -> Folders and remove the path references to GAP27 in the Folders/plug-ins & scripts. Ok that restart Gimp. Does it start up without the warnings? Deleted GAP27 from plugin folder list, Gimp starts properly but the only option listed under Video is "duplicate continue". One other thing, when I had the morphing screen up it looked quite different & lacking functionality compared to the videos I've seen on line when used with Gimp 2.8. I assume it hasn't been upgraded for 2.10. Has anyone out there got this to work with 2.10? You need to remove the scripts path as well. I did say not to expect much to work The video encoding for example. Just out of interest, is your Gimp 2.10 a regular installation in Windows drive C: ? Is it Windows 10 or...? I know that the GAP morphing is a powerful tool. Nothing I know of as a replacement. I might it a try, see what happens.